The vital task confronting Europe is to reconcile citizens’ right to make radical choices with the need to ensure that decisions leading to constitutional change are subject to sufficient public deliberation. The EU and the euro must not be constitutional cages; but nor should they be subject to ill-considered decisions. PARIS – A deep political crisis has erupted in Italy since President Sergio Mattarella’s refusal to appoint Paolo Savona, a declared Euroskeptic, as minister of economy and finance in the coalition government proposed by the leaders of the Five Star Movement (M5S) and the League, the two anti-system parties that emerged as winners of the March general election. Savona had openly advocated preparing a “plan B” for an exit from the single currency, and Mattarella argued that his appointment could have led to precisely that outcome. This is not the first time that continued euro membership has become a major political issue. In Greece in 2015, it was, at least implicitly, part of the debate over the acceptance of the conditions for financial assistance. In France in 2017, Le Pen and Emmanuel Macron explicitly debated it during the presidential campaign. But this is the first time that the euro has been the direct source of a legal dispute over the appointment of a government. A sudden rise in government bond rates reflects the anxiety in financial markets. But, first and foremost, the crisis raises an issue of interpretation. Does Mattarella’s decision mean voters cannot call into question euro membership? What is the resulting scope for democratic choice? These are fundamental issues of far-reaching consequence for all European citizens. Mattarella was explicit about his motivations. He did not object to Italians’ right to question euro membership, but he argued that this required an open debate, based on serious, in-depth analysis, whereas the issue had not been brought up in the electoral campaign. As Prime Minister-designate Giuseppe Conte and the party leaders behind him refused to propose any other candidate for the post, the president concluded that his constitutional duty was to refuse to endorse the appointment. In doing so, Mattarella drew a line separating constitutional choices from political choices. His logic was that political choices can be made freely by a government that commands a parliamentary majority, and that the president has no right to question such choices. Constitutional choices, by contrast, require a different type of decision-making procedure – one that ensures that voters are adequately informed about the potential consequences of their decision. 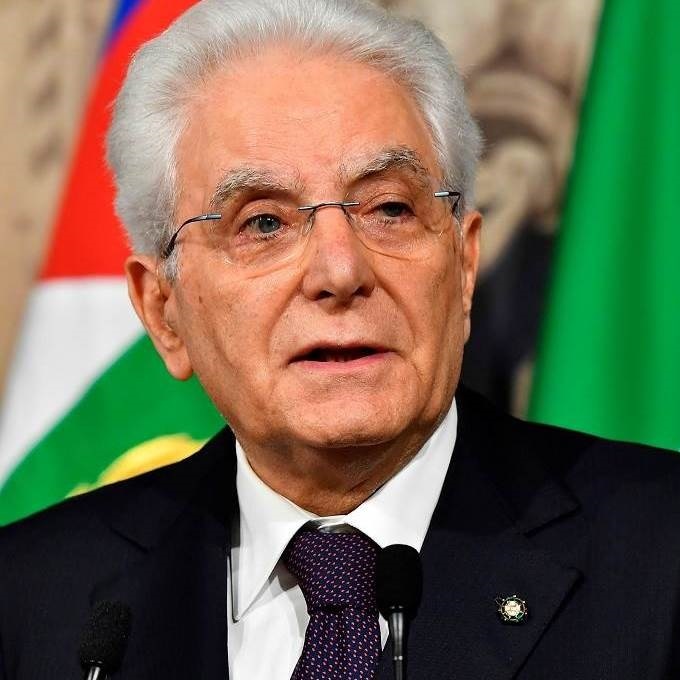 Absent such a debate, Mattarella reasoned, the president’s duty is to preserve the status quo and to prevent a consequential choice from being driven by self-fulfilling market expectations. As a matter of principle, this distinction makes considerable sense. In virtually all democracies, constitutions protect fundamental human rights, define the nature of the political regime, and assign responsibilities to the various levels of government. These provisions cannot – fortunately – be changed by a simple majority vote in parliament. Constitutions can be amended, of course, but often only slowly, and always only by a supermajority or, in some countries, a referendum. This inertia gives citizens a guarantee that their deep preferences will be upheld. This raises two questions. First, which are the truly constitutional matters? In Europe, membership in the EU is part of many countries’ fundamental law. Exit cannot be decided by parliament through ordinary procedure. But the constitutional scope is broader: legally speaking, all provisions of the EU treaties fall within it. And this is where the trouble starts. It would obviously be absurd to object to a political debate over EU treaty provisions regarding, say, fisheries or telecoms, or even the fiscal framework. Such provisions should belong to ordinary legislation (to define this distinction more clearly was one of the goals of the failed constitutional treaty of 2005). But, instead of providing a precise delineation, the legal frontier between constitutional and ordinary provisions creates political confusion. Citizens can be forgiven for not having a clear idea of what belongs to which category. Second, what type of decision procedure should apply to truly constitutional choices? Article 50 of the Treaty of Lisbon, as we have seen, enables the EU to decide how to manage the United Kingdom’s decision to leave. But most countries do not have an article in their own constitution that defines how to decide whether to terminate EU or euro membership. Harvard’s Kenneth Rogoff dubbed the UK’s reliance on a simple-majority referendum to end a 55-year-old partnership “Russian roulette for republics,” because the procedure did not include the checks and balances that such a consequential decision should have required. As long as membership in the EU and the euro commanded wide consensus, these distinctions were a matter of interest only for legal experts. This is no longer the case, and the debate about them is unlikely to end soon. It is therefore time to make the distinction between genuinely constitutional and non-constitutional European commitments an explicit part of the political order of our countries. The Italian president’s dividing line is correct in principle: because the common currency is a fundamental social institution, because of the bonds with partner countries that it involves, and because of the major financial, economic, and geopolitical consequences of a potential exit, euro membership must belong to the constitutional realm. But Mattarella’s stance would have been more easily accepted had it been made explicit early on. The fact that his decision was announced only when a conflict erupted between the presidency and the leaders of the parliamentary majority has created doubt about its legitimacy and has offered his opponents an opportunity to claim the moral high ground. The vital task confronting Europe is to reconcile citizens’ right to make radical choices with the need to ensure that decisions leading to constitutional upheaval are subject to sufficient, and sufficiently informed, public deliberation that results in an unambiguous, time-consistent expression of the people’s will. The EU and the euro must not be constitutional cages; nor should they be subject to ill-considered decisions. Striking the right balance demands procedures that command the required legitimacy.